“Yep. 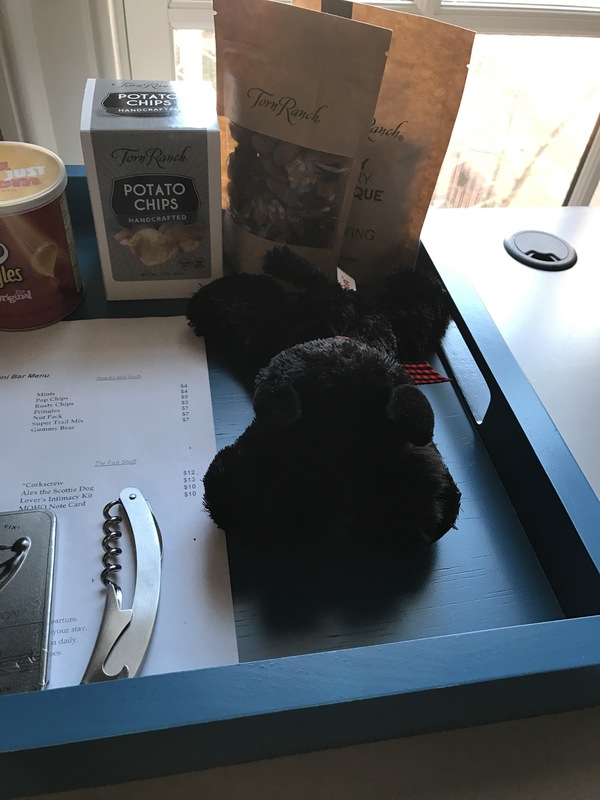 It’s Alex the Scottie for $12.00,” said the Dad Peep. Welcome to Alexandria. 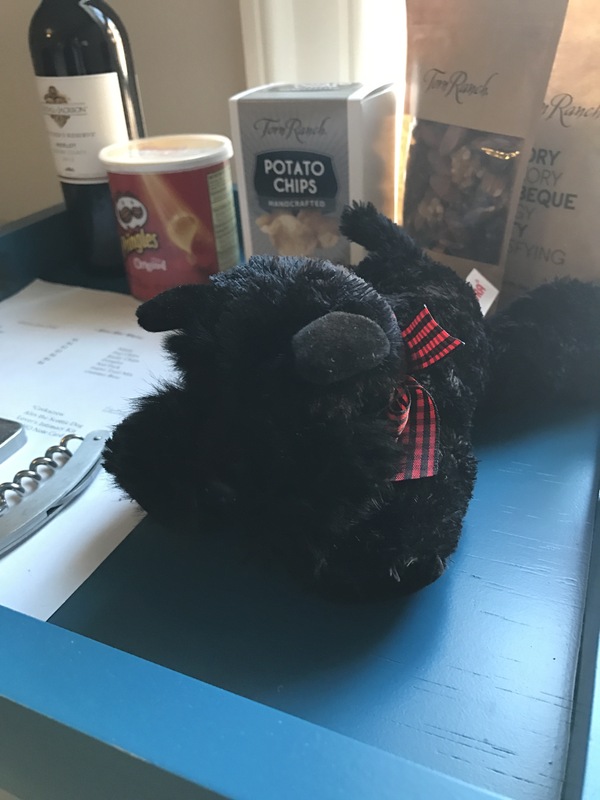 Where there’s always a Scottie to welcome you. This is going to be a nice trip. My goodness! Is the a sign of things to come? oh wow… Stuart at work for sure! 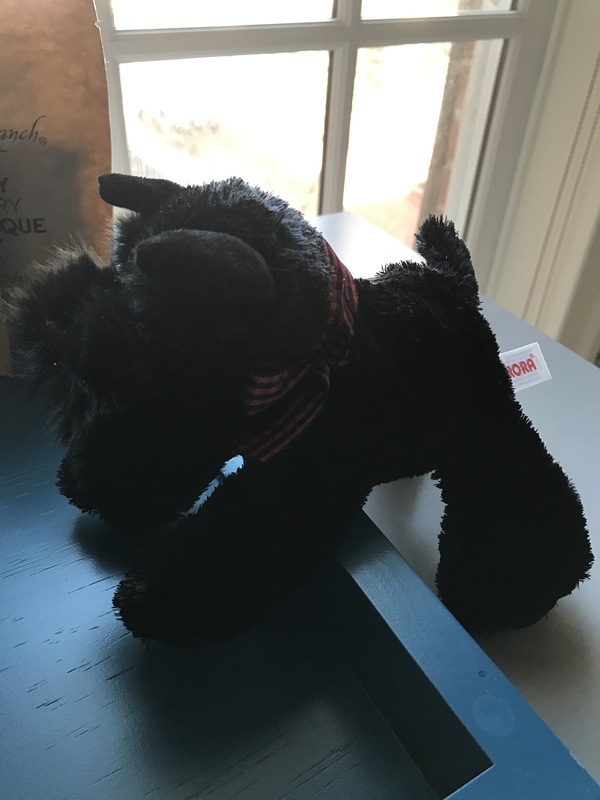 I got that same little scottie [for the same price] at a booth at Dog Days at Old Westbury Gardens last year! It’s just precious… enjoy the wedding. Now THAT’S what you call a very welcoming greeting!!! Hopefully Alex will be going home with you! I think Alex has been nipping at the wine. Can’t blame him. So, did you purchase him, or just admire his fluffy coat? Arooobark yip! Our vocal cords are still developing around here! What a wonderful welcome. I hope to see more in your future. Do you get hints everywhere that you go? Wherever there is a Scotty – there is love and happiness – hope you & Dad Peep had a good time..